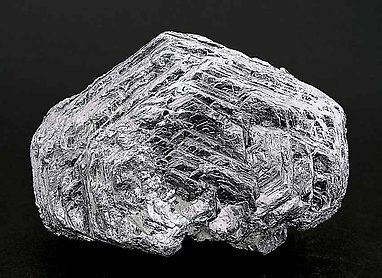 The crystal is very well defined, has extraordinary brilliance, both of which are rare in a specimen of this size. One can see all the sides of the hexagonal form and the edges and growth patterns are perfectly preserved. This was shown, photographed and published as a novelty at the Ste Marie show in the magazine ‘Le Règne Minéral’ number 58, page 50. We will send the buyer a copy of the magazine. Polycrystalline growths of laminar crystals of Molybdenite with a small group of rhombohedral crystals of Calcite. The floating crystal has considerable size and it is very much defined as usual on samples of this size. 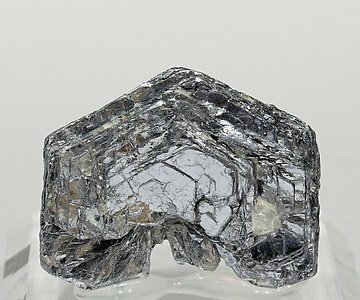 On the front face is easy to see the hexagonal striations formed while the crystal grew. It is from a deposit actually that is now finished. 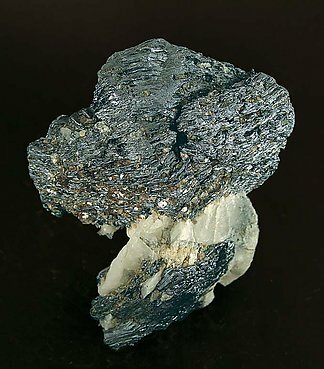 It is hard to get Molibdenite with well-defined crystals, as it is a soft mineral that often deforms, either when it forms or when it is collected. 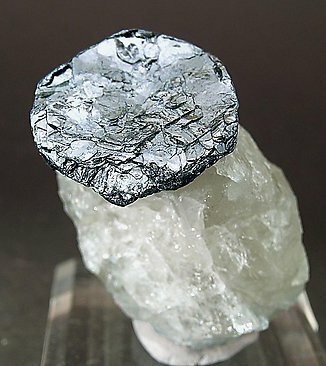 This hexagonal crystal clearly shows the typical shape of Molibdenite crystals and is well placed on the Quartz matrix. 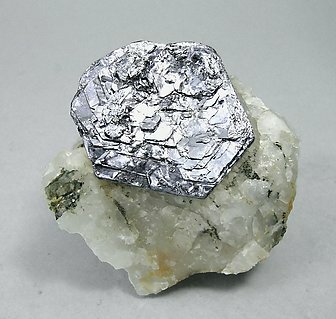 The crystal, as usual in Molybdenite samples, is slightly deformed but it has a good part of its hexagonal outline and it is very well positioned on the Quartz matrix. A classic sample. The crystal is complete, without deformation or exfoliations, very bright and on Quartz matrix. The specimen was previously in the collection of Michel Jouty (num. 3), whose label will be sent to the buyer. 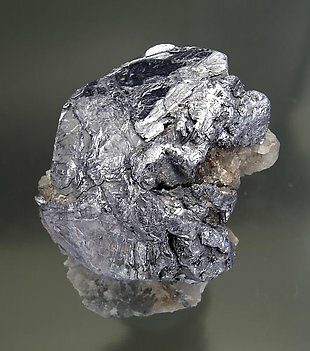 A complete spray of Molybdenite that is in matrix! 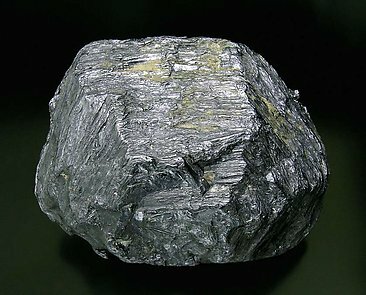 It come from the locality that has the reputation of producing the best, large, well formed ones found in the world. So this, very technical specimen, is a special beauty.